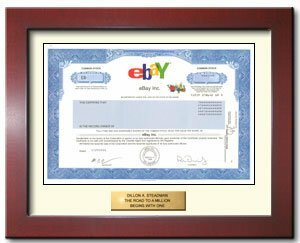 eBay Inc. was founded in 1995 as an internet-based community in which people and businesses are brought together to buy and sell almost anything. eBay Inc. operates in two segments, Marketplaces and Payments. The Marketplaces segment provides online commerce platforms that enable buyers and sellers to interact and trade with one another. The Payments segment offers PayPal, a payments platform that enables individuals or businesses with an email address to send and receive online payments. eBay, the internet auction giant, makes a great gift for all ages!